Luxliner Bus & Coaches Is a privately owned company providing passenger transport services in Gauteng province and it's nearby cities. It is one among the fastest growing company in the region and it's already got best reputations among the travelers and tourist in the regions. They have invested much in the modern bus models and it is one among the few bus company in South Africa who are using Chinese bus models. They use Chinese Yutong Bus, Scania Marcopolo buses and Scania Mcv Buses. 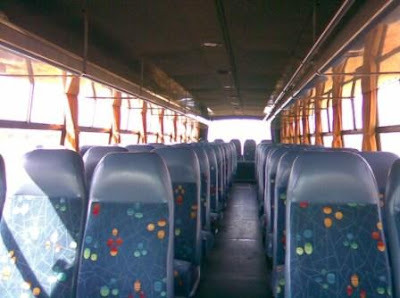 Their Buses are of Semi Luxury and Luxury classes with 2 by 2 seating configurations, Reclining seats with enough legroom, On Board Entertainment like Television services, Music system and many more. Their buses are fitted with an A/C services and their passenger are enjoying cool weather all the way long. They are providing different types of services to the communities thought they are based in a Long distance travel. 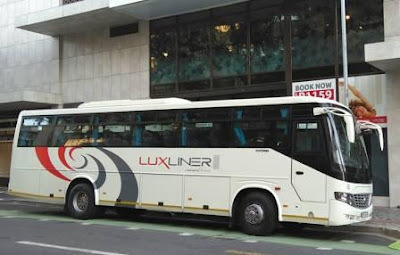 They offer Public bus transport in Gauteng and other cities and towns around South Africa. Their Buses also available for Special Hire for Individual Groups, Commuters, Social Group, Tourists, Wedding, Events and other groups when they are in need of their services. All these services are based within South Africa.